In the wide open spaces of the Vassieux plateau (alt. 1,100m) in the Vercors. 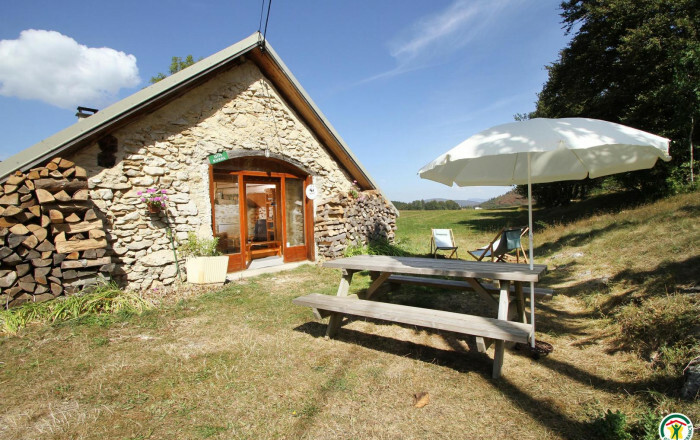 Gîte in traditional stone and wood cottage, adjoining owner's home (separate entrance). Comfortable accommodation for 6 to 8 people. Large living room/kitchen (sofa bed), bedroom (double bed, single bed), mezzanine (double bed, single bed), 2 shower rooms, 2 WCs. Wood-burning stove (firewood supplied). Extra charge of 50E for heating (December to March).